With 1,164 votes cast, we can now announce a Grand Prize Winner in the Family Travel Photo Contest! Lynn at the Wanderlynn blog! 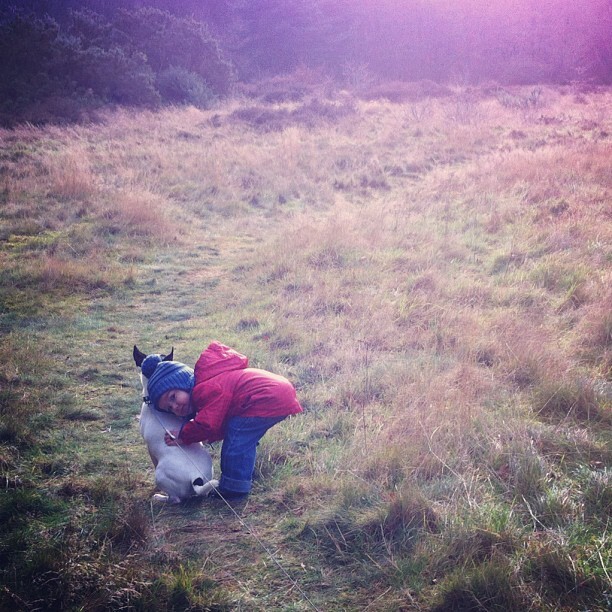 Her “Boy Hugging Dog” picked up 48.63% to the total, or 566 votes. A HUGE congratulations to Lynn and all of the other contestants. Now it’s time for Lynn to go to A World in Focus to choose her prize. It’s been a lot of fun hosting this little competition, and I’m sure we’ll be running another one at some point this year. THANKS AGAIN TO EVERYONE who submitted shots and to all those who took the time to vote. Hats off, everyone. Cheers! Congratulations Lynn – a worthy winner! Great shot! Talk about capturing the moment! Beautiful. Very sweet. I just love the pudginess of that age. WOW! Thank you to everyone who voted!